Take a break from Boracay with a short trip to Malumpati Cold Spring in Pandan, about 1h 40 min away. Spend the 6th (Sun) among aquatic life with a scuba or snorkeling tour. There's still lots to do: enjoy the sand and surf at White Beach, step off the mainland to explore Crystal Cove Island, stroll through Yapak Beach (Puka Shell Beach), and don't miss a visit to Ariel's Point. 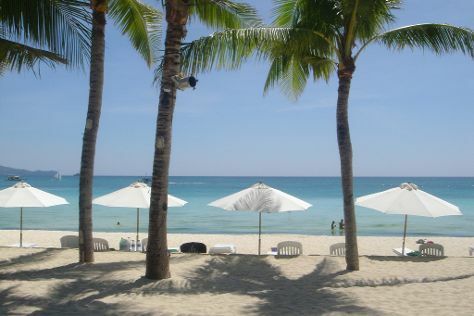 Plan my day in Boracay using traveler tips and tourist information provided by Inspirock. Toronto, Canada to Boracay is an approximately 23.5-hour combination of flight and ferry. You can also do a combination of flight, bus, and ferry; or do a combination of flight, taxi, bus, and ferry. The time zone difference when traveling from Toronto to Boracay is 13 hours. Expect much warmer temperatures when traveling from Toronto in October; daily highs in Boracay reach 34°C and lows reach 28°C. Finish your sightseeing early on the 16th (Wed) so you can travel to Cairns. Change things up with these side-trips from Cairns: Palm Cove (Hartley's Crocodile Adventures & Palm Cove Beach), Cape Tribulation (Daintree Rainforest - Cooper Creek Wilderness & Daintree National Park) and Port Douglas (Safaris, Four Mile Beach, & more). Spend the 17th (Thu) among aquatic life with a scuba or snorkeling tour. Spend the 31st (Thu) exploring nature at Barron Gorge National Park. And it doesn't end there: stroll through Esplanade Boardwalk, enjoy the sand and surf at Yorkeys Knob Beach, take in the dramatic scenery at Alexandra Bay Waterfall, and enjoy some diversion at Esplanade Lagoon Pool. To find traveler tips, other places to visit, more things to do, and other tourist information, you can read our Cairns tour itinerary planning tool . Getting from Boracay to Cairns by combination of ferry and flight takes about 13 hours. Other options: do a combination of ferry, bus, and flight; or do a combination of ferry, taxi, and flight. You'll lose 2 hours traveling from Boracay to Cairns due to the time zone difference. Traveling from Boracay in October, expect little chillier with lows of 24°C in Cairns. Wrap up your sightseeing on the 31st (Thu) to allow time to travel to Sydney. Explore Sydney's surroundings by going to Katoomba (Wentworth Falls, The Giant Stairway, & more), Everglades Historic House and Gardens (in Leura) and Norman Lindsay Gallery & Museum (in Faulconbridge). Spend the 6th (Wed) exploring nature at Sydney Harbour National Park. 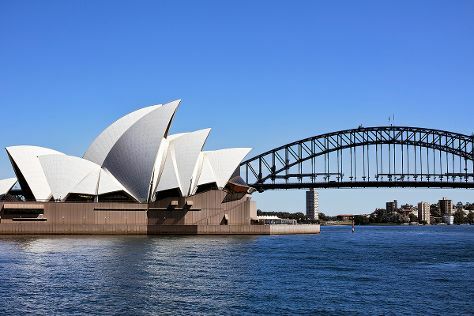 There's still lots to do: catch a live performance at Sydney Opera House, see the interesting displays at Australian National Maritime Museum, take a stroll through Darling Harbour, and kick back and relax at Bondi Beach. For photos, other places to visit, maps, and tourist information, refer to the Sydney journey website . Fly from Cairns to Sydney in 6 hours. Alternatively, you can drive; or take a train. Prepare for little chillier weather when traveling from Cairns in November: high temperatures in Sydney hover around 29°C and lows are around 19°C. Cap off your sightseeing on the 15th (Fri) early enough to travel to Wellington. Venture out of the city with trips to Blenheim (Wine Tours & Tastings, Spy Valley Wines, & more), Picton (Queen Charlotte Track & Marlborough Sounds) and Southward Car Museum (in Paraparaumu). 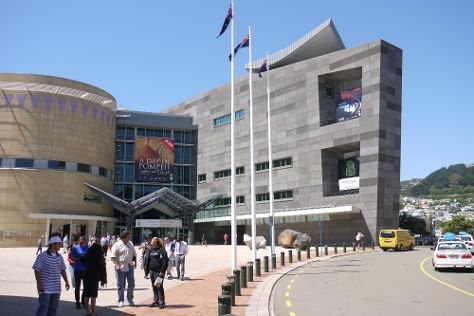 Next up on the itinerary: see the interesting displays at Museum of New Zealand (Te Papa Tongarewa), get engrossed in the history at The Great War Exhibition, take a memorable ride with Wellington Cable Car, and look for all kinds of wild species at ZEALANDIA Sanctuary. Plan my trip to Wellington with suggested itineraries provided by Inspirock. You can fly from Sydney to Wellington in 6.5 hours. The time zone changes from Australian Eastern Standard Time (New South Wales) to New Zealand Standard Time, which is usually a 2 hour difference. Plan for little chillier temperatures traveling from Sydney in November, with highs in Wellington at 20°C and lows at 13°C. Cap off your sightseeing on the 29th (Fri) early enough to travel back home.